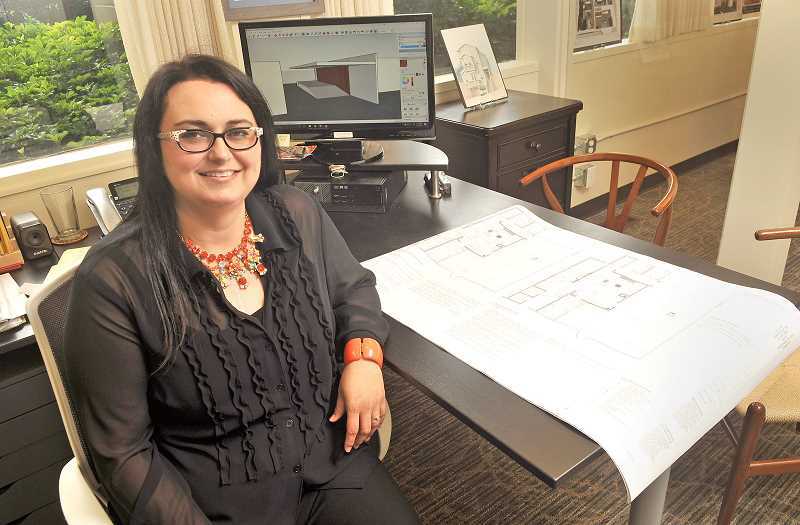 Interior designer Ida York has moved her offices to Lake Oswego. She and her associates specialize in residential interior design and hospitality spaces, such as hotels and restaurants. And for her clients, this pays off in big dividends. After she renovated her parents' restaurant, revenue doubled overnight. Other hospitality clients — restaurants and hotels across the nation — tell of her transforming mediocre guest spaces into inviting, luxurious spaces, resulting in revenue increases of 15 to 110 percent. Formerly based in Portland, Ida York brought her Ida York Design Group to Lake Oswego in February, renovating basement space into a warm, contemporary suite of offices, which serves as another testament to York's talent. York offers interior design services to hospitality and residential clients. York has bachelor's degrees in both interior architecture and interior design from the Academy of Art University in San Francisco. "I loved the architecture part of projects, but couldn't wait to get to the insides," she said. "So rather than go on to get a master's in interior design, I felt I needed to gain all the background work, so I pursued a second bachelor's degree instead." She pictured herself joining a large corporation, but found herself involved with a series of freelance jobs immediately after graduating. Recognizing she was already in business for herself, she incorporated in 2014 to better encompass the wide-ranging disciplines that the company handles. 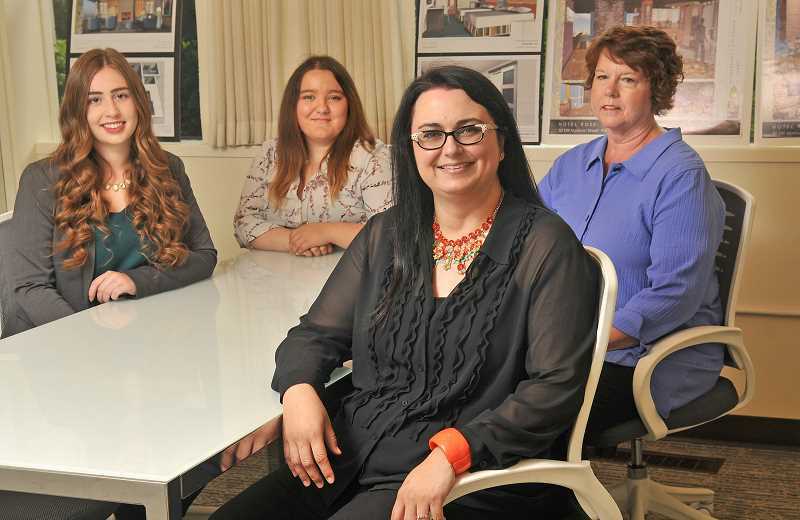 York's hospitality design work has been featured in "Interior Design," "Elle Décor" and "Alaska Airline" magazines, as well as several business journals. "Our specialty is making big design statements with style and color," she said of her hospitality work. "Our designs increase occupancy rates and increase positive reviews." Hotel Rose, located in Portland, received a complete renovation inside and out. Bottle + Kitchen, the lower-level restaurant, was remodeled into a restaurant, bar and two meeting rooms. The directive, "Alice in Wonderland meets Gastro Pub," led to the color, texture and unique materials that accomplished the vision. The restaurant and bar flooring design was one of five winners of Interior Design Magazine Product of the Year 2014 in the Glitz category. The new design incorporated color from the first-floor renovation in the new guestroom and suite. The meeting spaces are attached to the Bottle + Kitchen restaurant and incorporated many of the colors, textures and patterns from the neighboring lounge. As much as she enjoys seeing results in hospitality spaces, she said she loves transforming residential space more. The design group specializes in large-scale remodels, furnishings and new construction. "My first love has always been residential design," she said. "It's more personal; you get to change the way people live in their home." York said to begin a residential project she and her associates go and see the home, and she listens to what the homeowners want, and focuses on how the space can function more efficiently. She added that she balances their wants with what will work, using National Kitchen and Bath Association standards, but never "bulldozes" clients into decisions. "It's their house," she said. "If the husband and wife have differing tastes, I find a middle ground that works for both. I love removing walls and moving things around. I love the big stuff because you can see the most impact." Then comes the fun of adding the color and finishes to the project. York said a design may take six to eight weeks to complete, during which time she has the clients actively involved. "A favorite day of mine is shopping day," she said. "When we go with them to shop for finishes, colors and furniture. They are exhausted by the end of the day — it's a lot of work." To make color and finish choices easier, York has installed two lighting systems in the studio, one for residential light and the other for commercial lighting. A bank of windows runs along the studio's east wall, adding natural light to the studio. "Lighting can make a huge difference," she said. "It will change carpets, wallcoverings, and fabrics." York tells of clients who were hindered from entertaining until she created the space for them. "We regularly hear 'I love my space!' when a project is complete," she said. "Our clients tell us they feel listened to, understood and taken care of. We bring fun into the design process and a sense of calm into the construction process. It's our relationships and our quality of work that keeps our clients coming back, and has them referring their friends and family to us." Ida York Design Group Inc. is located at 601 First St., Suite B, Lake Oswego. For more information, call 503-688-9499.